Special-effect lenses might feel like a super-modern novelty, but their history is actually well over half a century long. One of the pioneers in this field was Morton Greenspoon, OD, who created theatrical lenses for the U.S. film industry as early as the 1950s. One of this most well-known creations are the werewolf contact lenses worn by Michael Jackson in the Thriller music video. Special-effect lenses are usually non-transparent (except for the opening for your pupil) and some are considerably larger than the iris. Some will completely cover the visible part of your eye globe. This means that you can play with a lot of different “unnatural” looks. You may for instance want to give the impression of having cat eyes, bloodshot eyes or completely black daemon eyes with no irises or whites. 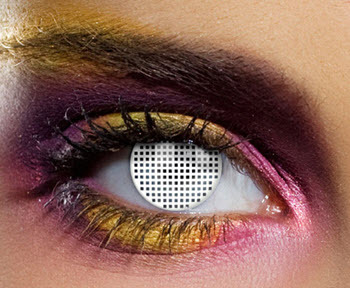 Special-effect lenses are marketed under many different names, such as FX lenses, crazy lenses, Halloween lenses, novelty lenses, theatrical lenses, and masquerade lenses. What’s a scleral contact lens? A scleral contact lens will cover the whole visible part of you eye except for the pupil This means that both the iris and the white will be covered. Sclera is the scientific name for the white of the eye. Scleral contact lenses can for instance be used to make your eyes look completely red or white except for the pupil. With completely black scleral lenses, the pupil will normally not be distinguishable, creating an impression of you having no pupil at all. 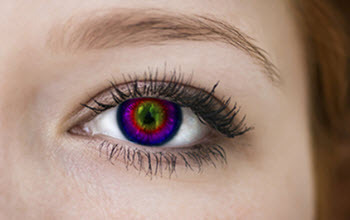 Non-black scleral contact lenses that hides the pupil are rare, since the tend to impact the wearer’s vision. Glow-in-the-dark lenses will light up under a black light (UV-lamp). Neon colored glow-in-the-dark lenses are popular in night clubs with UV-lighting. Big eye contact lenses (also known as circle lenses) are used to give an impression of big irises. They give the wearer a more doll-like appearance. 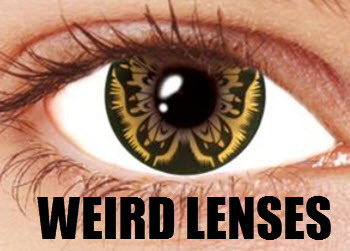 Big eye lenses are often worn together with anime and manga inspired costumes. In the United States, Halloween is a masquerade holiday and it is also a holiday associated with spooky things. It has become popular to use special-effect lenses during Halloween celebrations; to complete a costume or to just bring in some subtle spookiness to an otherwise normal apparel. A zombie costume will look even better when worn with “zombie eyes” and the little black cat number looks stunning with yellow irises and elongated pupils. If you decide to go out partying in your normal garb, popping in a pair of spiderweb contact lenses will give you instant Halloween feeling without much effort. Yellow lenses inspired by the movie Avatar. Yellow lenses with cat-eye pupils inspired by Harry Potter. 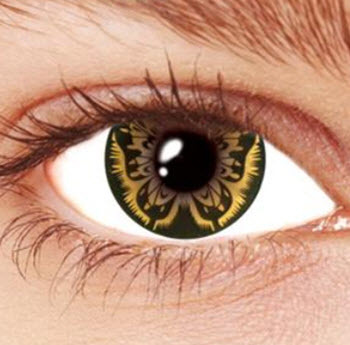 Black, white or yellow scleral contact lenses inspired by True Blood. Red or amber contact lenses inspired by the Twilight movies. Vividly green lenses inspired by the Mad Hatter that Alice meets in Wonderland. Can I use special-effect lenses even though my vision is perfect? Yes, you can. Most special-effect lenses on the market as actually non-corrective contact lenses. 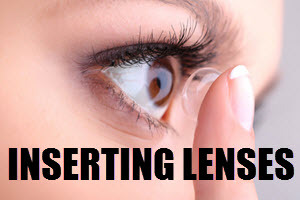 Non-corrective contact lenses are called plano contact lenses. Can I get special-effects corrective lenses? Yes, there are special-effects lenses on the market that also offer visual correction, e.g. correction for myopia (nearsightedness), hyperopia (farsightedness) or astigmatism. They tend to be a bit more expensive than plano special-effects lenses. Are you unable to find special-effects lenses that look they way you want them to? If you are willing to pay for it, you can have special-effects contact lenses created specially for you to get the right look. This is possible both for corrective and non-corrective contact lenses. 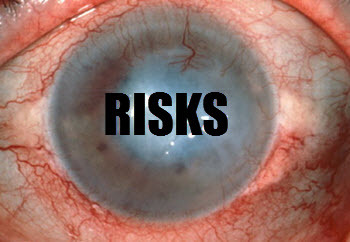 Special-effects contact lenses are usually only worn on special occasions, such as parties. Choosing daily disposable special-effects contact lenses is a convenient option, since you don’t have to deal with storing them between uses. Just discard them after the party and get new ones for the next occasion. Even if you only wear contact lenses occasionally, it is still a good idea to get your eyes checked by an optician once a year. The optician will be able to spot early signs of damage or disease associated with contact lens use. Early detection makes it much easier to keep a minor eye problem from turning into a major eye problem. If you use special-effect contact lenses more than just occasionally, it is a good idea to get a lens prescription from an optician even if you live in a country where such a prescription isn’t mandatory when purchasing special-effects lenses. This is true even if all the lenses you use are plano (non-corrective) lenses. A lens prescription will include information about the size and shape of your eye, making it easier for you to order lenses that actually fit your eyes and are less likely to cause problems. If you use corrective lenses (special-effects or not), having your vision checked once a year is strongly recommended since eye sight can change and using an old prescription isn’t advisable. Most of us would never even dream of letting anyone else try on our prescription contact lenses or the colored plano lenses that we wear everyday. But what about those crazy daemon lenses that you are wearing for Halloween? For some reason, many of us are suddenly less hesitant about letting others try on our contact lenses when it’s just “party lenses”. They look funny, people comment on them, friends are eager to try out how they would look on them, someone wants to take a selfie sporting your cat-eye lenses, and so on. However, letting someone else use your contact lenses can transmit harmful pathogens. Keep your lenses to your self and don’t try on lenses that have been worn by someone else. Even if you have absolutely no signs of eye infection, the germs living in your eyes might turn into quite the problem for your friend and vice versa. After all, we all have our own immune system with its own unique strengths and weaknesses. Your friend might for instance be suffering from dry eyes, making her break out in pink-eye from a bacteria that your superb tear production had no problem keeping under control.